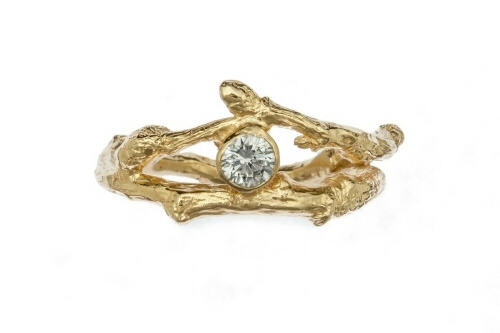 Fine woodland twigs wrap around the finger creating a delicate ring that holds a 0.20 ct diamond, held organically in place with a twig like claw setting. The twig ring is 1 cm at its widest point, tapering at the back for comfort. 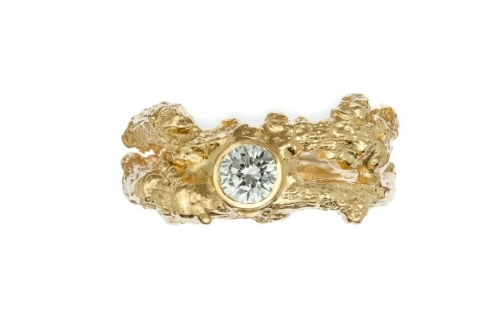 This ring is both wide and delicate, the finest details are retained from the original natural form. It can be made in yellow, white or rose gold and carries a Birmingham hallmark. 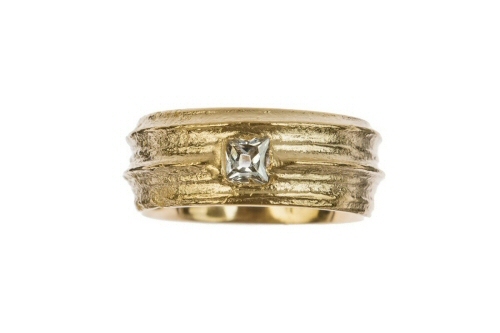 Gold cow parsley stem with princess cut diamond.